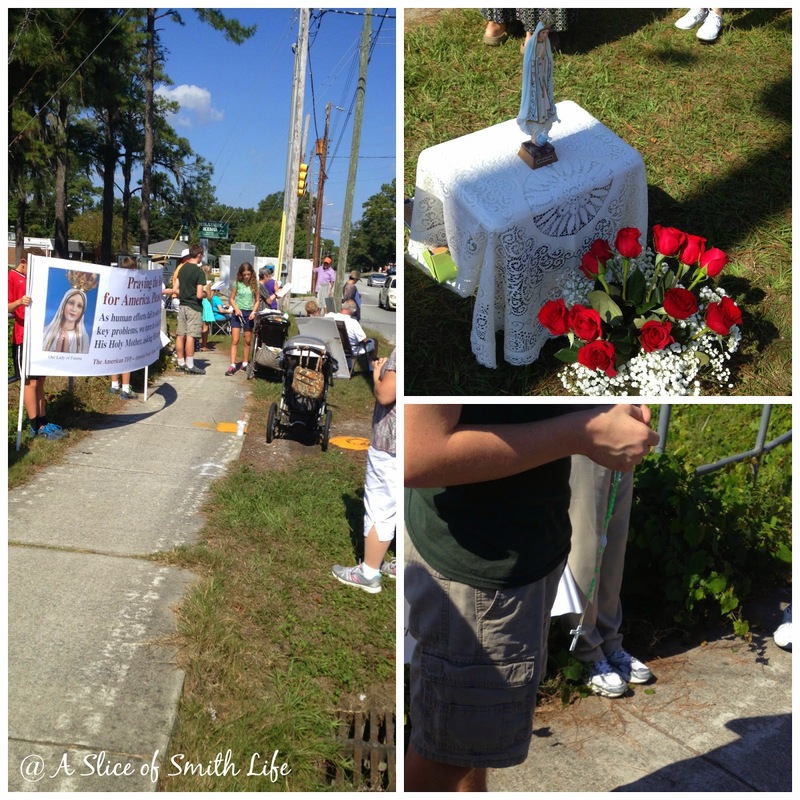 This past Saturday, my 2 older children and the baby and I and other pro-lifers, stood prayerfully at the corner of a busy street where an entrance to an abortion clinic was located. We prayed the Joyful Mysteries and other prayers to ask for Our Lady's intercession for our country and our world. 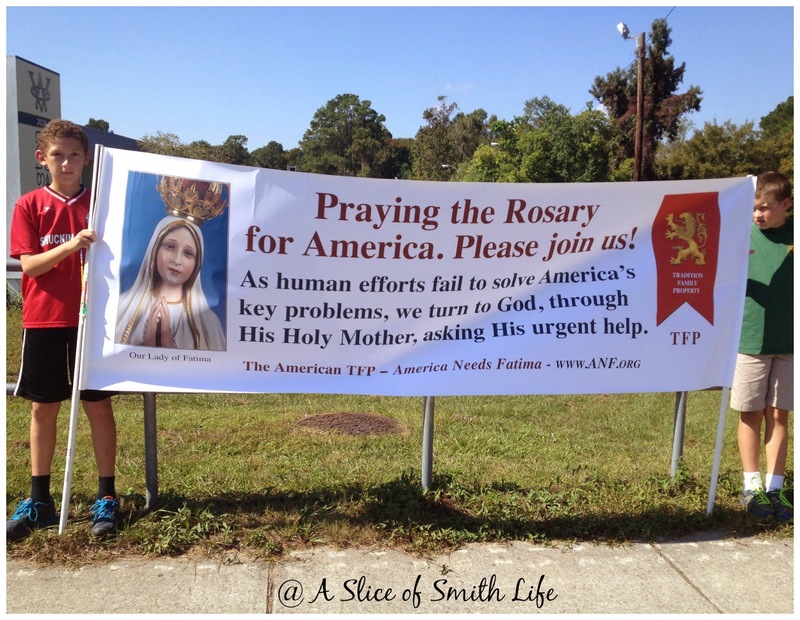 My son and his friend held one of the banners from America Needs Fatima. It was a hot, but beautiful day, as God sent a cool breeze every now and then and even a beautiful monarch butterfly landed on the dozen roses that were in a vase in front of the statue of Our Lady of Fatima. This past weekend's peaceful and blessed prayer vigil was a wonderful way to prepare to celebrate today's feast day, our Lady of Fatima and the miracle of the sun. 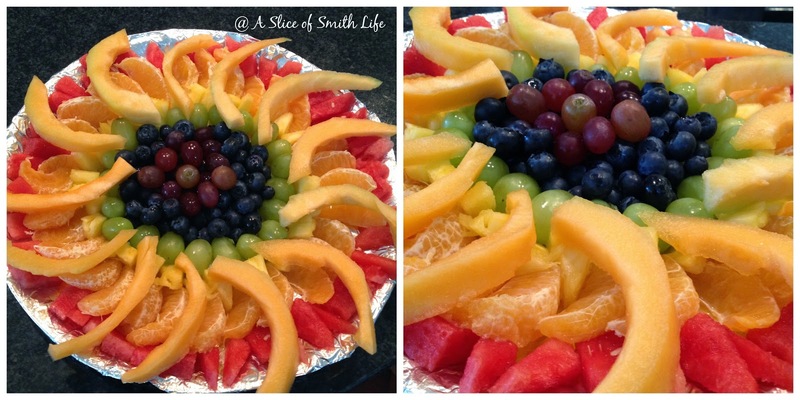 To continue my "A Slice of Liturgical Life" posts for October, I'm very excited to celebrate October 13, with the Miracle of the Sun fruit platter with my children. I first saw this festive and healthy idea at Tiffany's blog post HERE at Family At The Foot of the Cross and loved it! 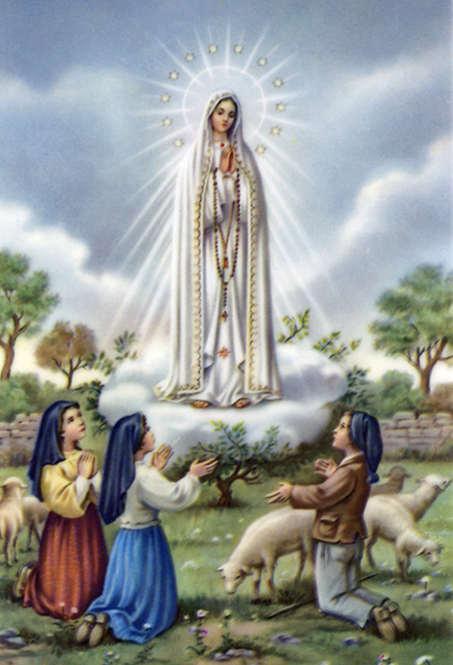 The miracle of the sun is a fascinating and wonderful part of Our Lady of Fatima's feast day. 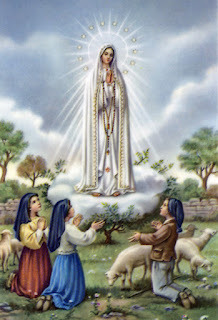 Our Lady of Fatima's feast day is celebrated on May 13 and you can read HERE how our Blessed Mother first appeared to three children on May 13, 1917 near the town of Fatima, in Portugal. 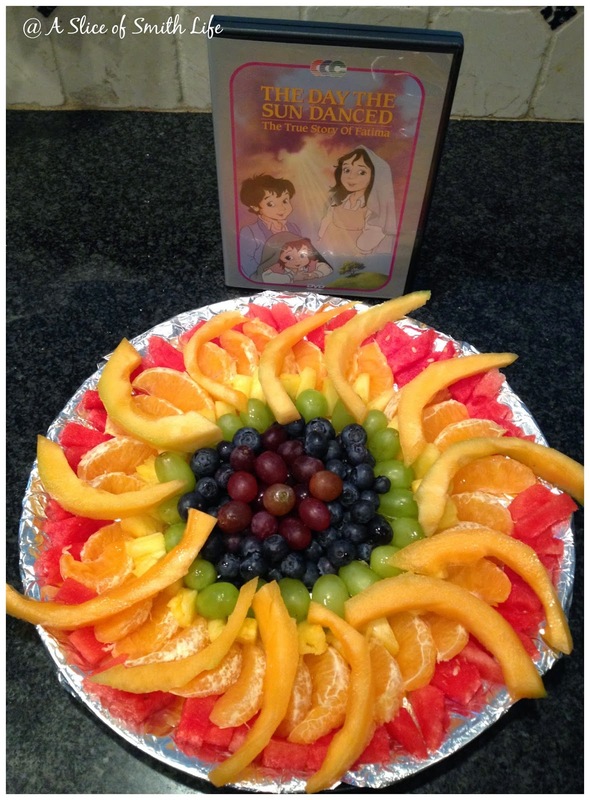 We will enjoy our spinning sun fruit platter as we watch the DVD, "The Day the Sun Danced~The True Story of Fatima" produced by CCC of America. This is a great children's animation movie about this miraculous story! We love all of CCC of America's DVDs that share our beautiful faith! 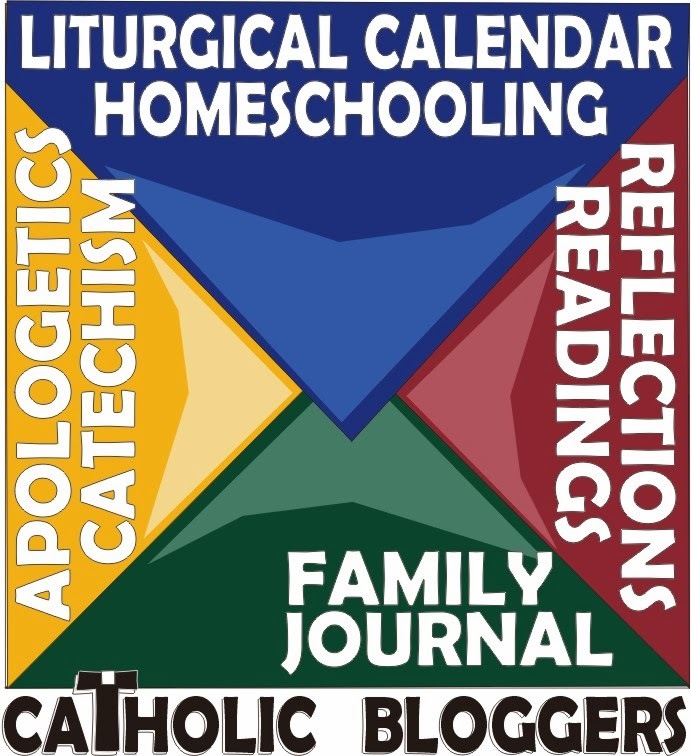 I loved this spinning sun drawing idea from Jennifer at Catholic Inspired! I would love to get to this if I have the time. 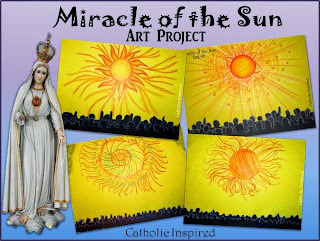 Lacy's Miracle of the Sun Spinner craft at Catholic Icing looks like another fun way to celebrate this special day! That fruit tray looks too pretty to eat!!! What a beautiful way to celebrate both the feast of Our Lady of Fatima and the month of the Holy Rosary! We had the Our Lady of Fatima National Pilgrim Virgin Statue visit our parish on Oct. 12 & 13th. Praying the rosary right along with you all! The fruit tray is both festive and delicious looking!